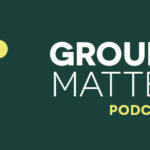 SUMMARY: In this episode, Brian and Chris speak with Ben Reed, a small groups pastor at Saddleback Church, about his experience with small groups and discipleship in a variety of ministry environments. Ben discusses how important it is for churches to determine their own benchmarks for a healthy and balanced discipleship ministry and to aim for those measures of health over any attendance goals. Ben also shares some practical ways to encourage and grow participation in small groups ministry and addresses some challenges faced specifically by young leaders in discipleship. 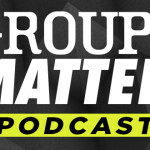 GUEST: Ben Reed is a Pastor on the Small Groups team at Saddleback Church in southern California and is the author of the book, Starting Small. He’s also been on staff at Long Hollow Baptist Church in Nashville, TN, and Grace Community Church, a church plant. Ben is married with a son and daughter. His interaction with small groups, recruiting small group leaders, training and shepherding them is broad, and his heart beats for healthy, authentic, biblical, Jesus-focused community. He knows that without a healthy system, you can’t replicate what you do with any efficiency. Visit Ben’s blog at benreed.net.